Realpolitik is a system of politics or principles that are based on practical rather than moral or ideological consideration. 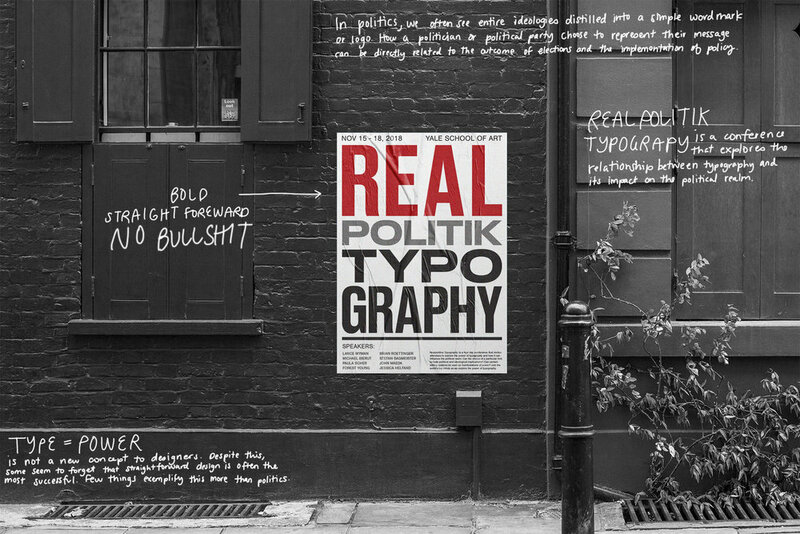 This project is an examination of typography through the lens of Realpolitik and it's inherent pragmatism. If we strip typography to it's core, does it still hold power? At it's core, typography is a means of disseminating ideas and thoughts. In many cases the more distilled a message is, the better it can be communicated. 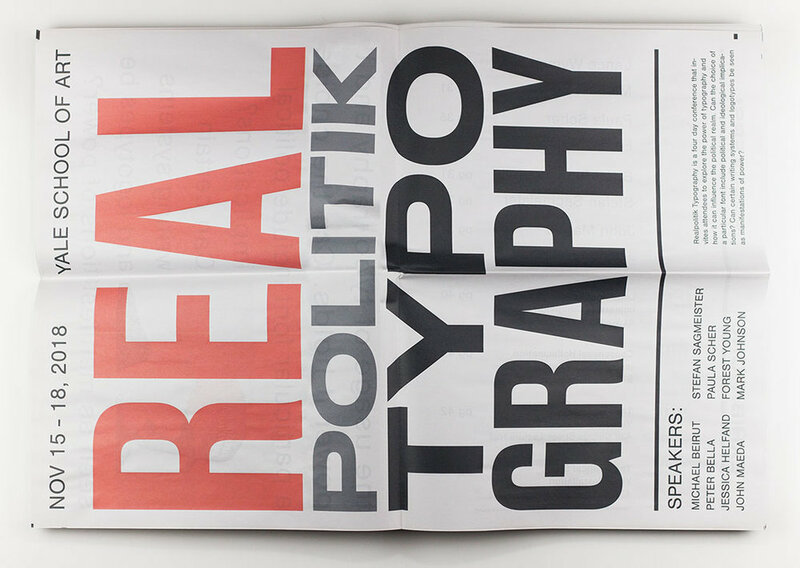 This typography conference provides a blank slate upon which designers and activists shall examine how we can use pragmatism and typography to successfully send a message. 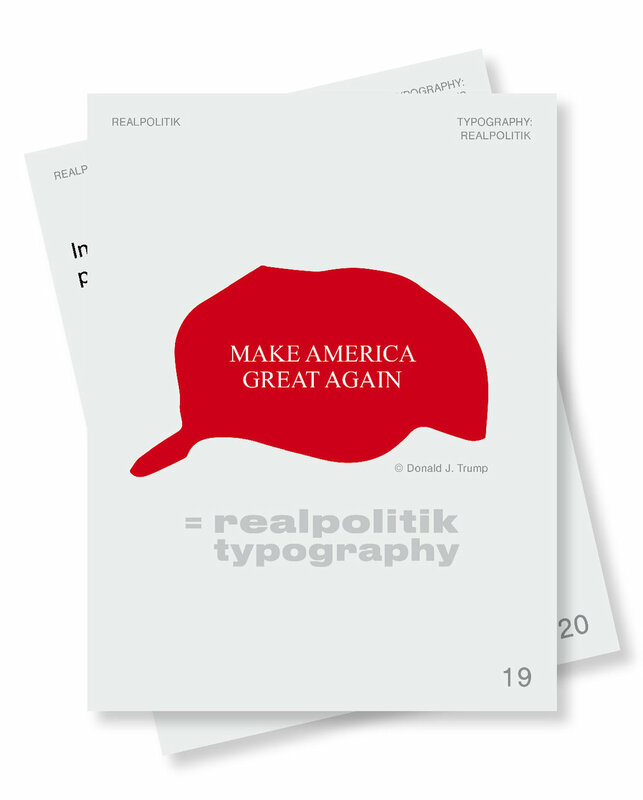 Realpolitik Typography explores the power of typography through open discussions with design professionals, politicians, and civilians. The four day conference includes type exhibitions, demonstrations, and videos that force us to reflect on what we know about typography and the power it holds. There is a loose leaf informational booklet that each attendee receives which includes information explaining the conference, definitions of terminology, and speaker list. It is printed on newspaper to ensure it is cost-effective and accessible. There is also a brochure in the form of a newspaper that has conference information including location and a schedule of events. The newspaper brochure also includes a fold out poster.